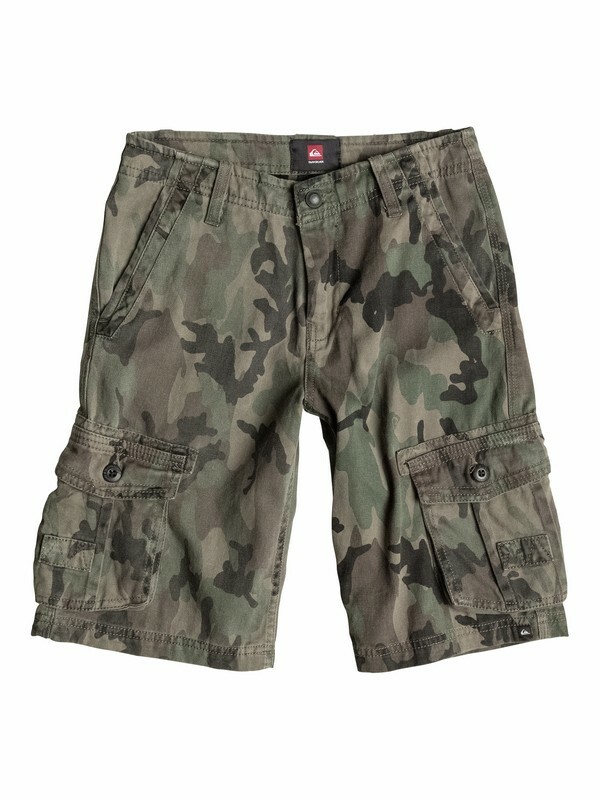 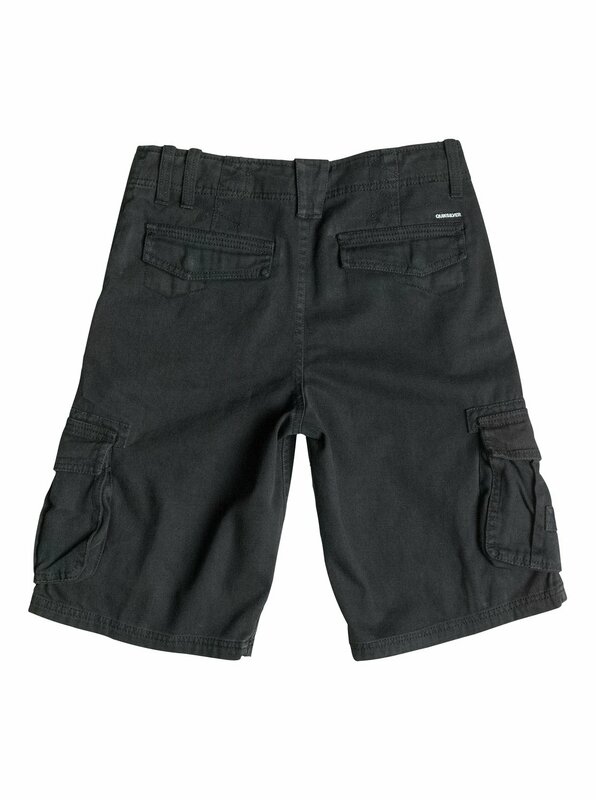 The Deluxe Shorts for Boys 8-16 from Quiksilver. 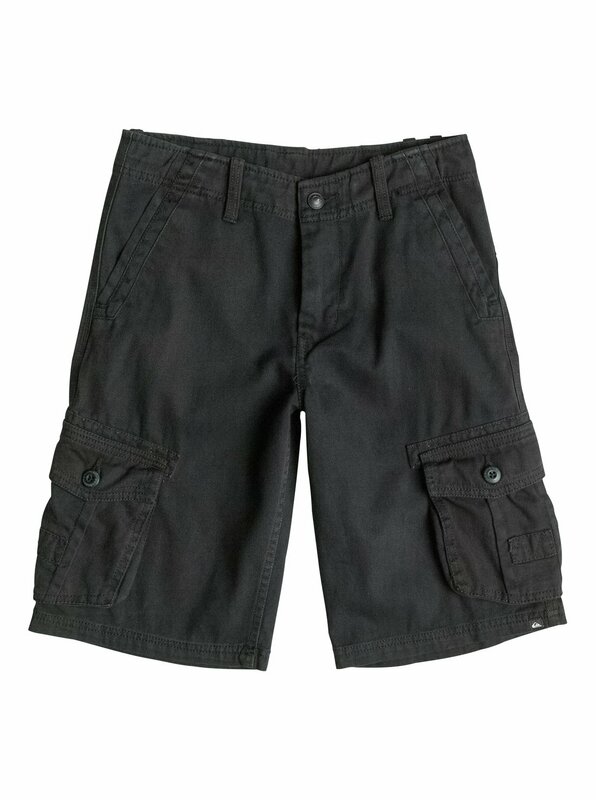 Features include 6.8 oz. 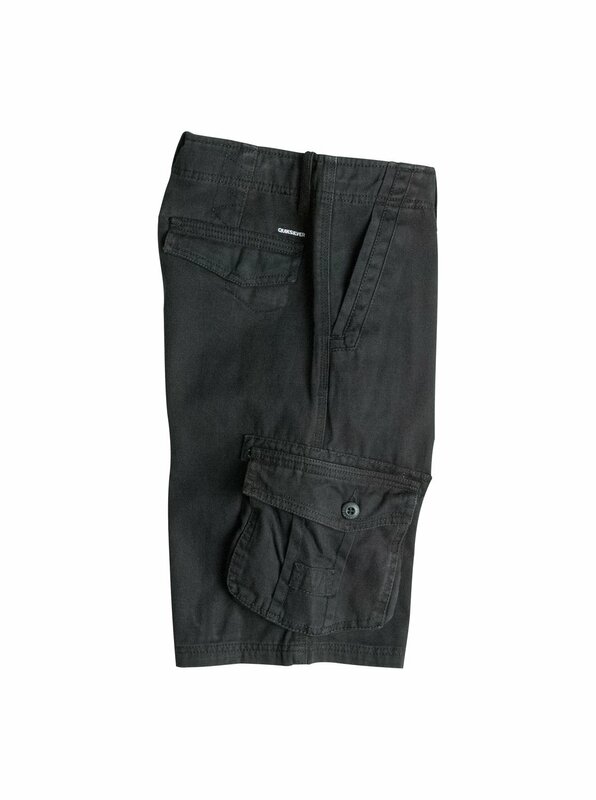 twill weave fabric, enzyme stone wash, cargo fit, cargo pockets, woven label on the back pocket flap and a fabric composition of pure Cotton.